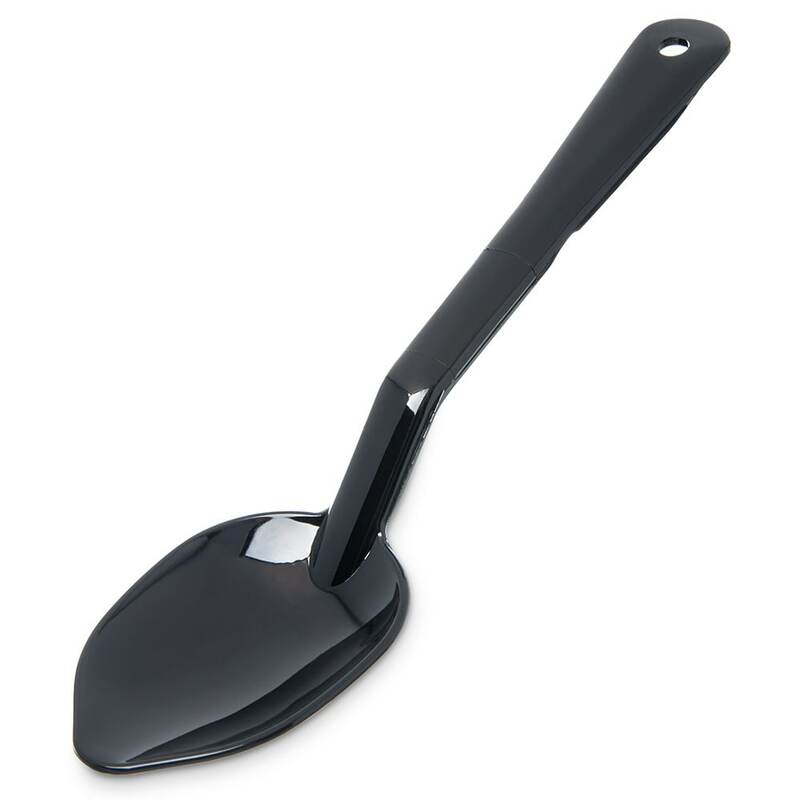 The Carlisle 441003 serving spoon is made of a black stain- and chip-resistant polycarbonate that fits into almost any color palate. A notch on the handle rests on the edge of food pans to prevent the unit from falling into food. 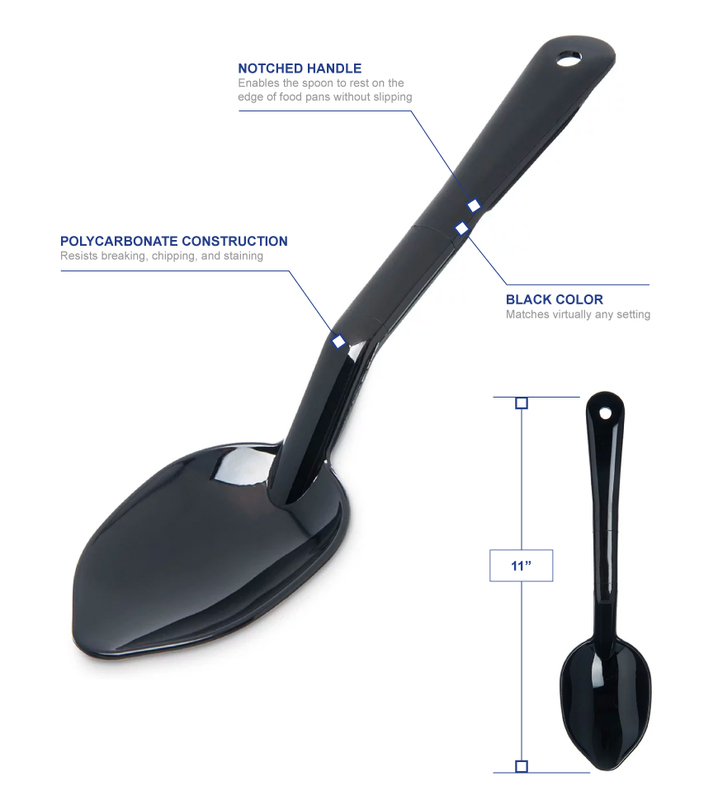 This spoon has a 1.5-ounce capacity.